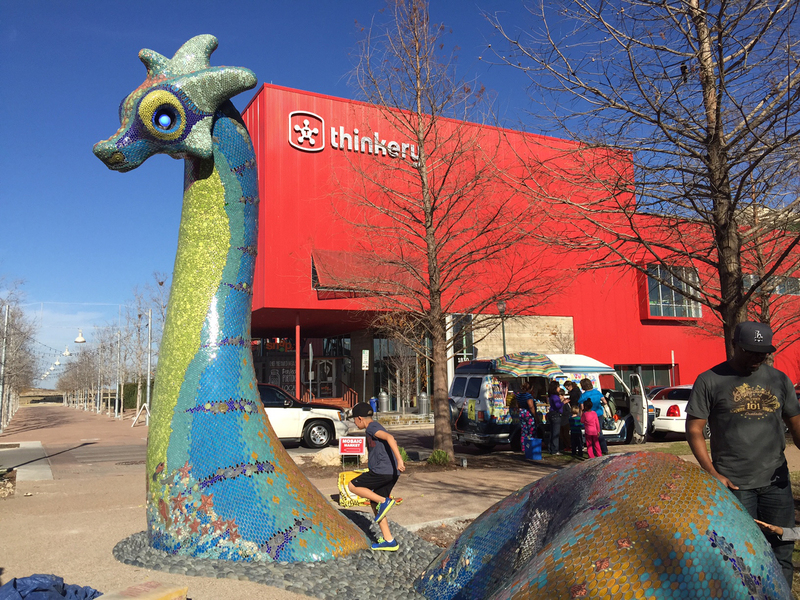 NESSY- 2015 – MUELLER PARK, AUSTIN, TX. 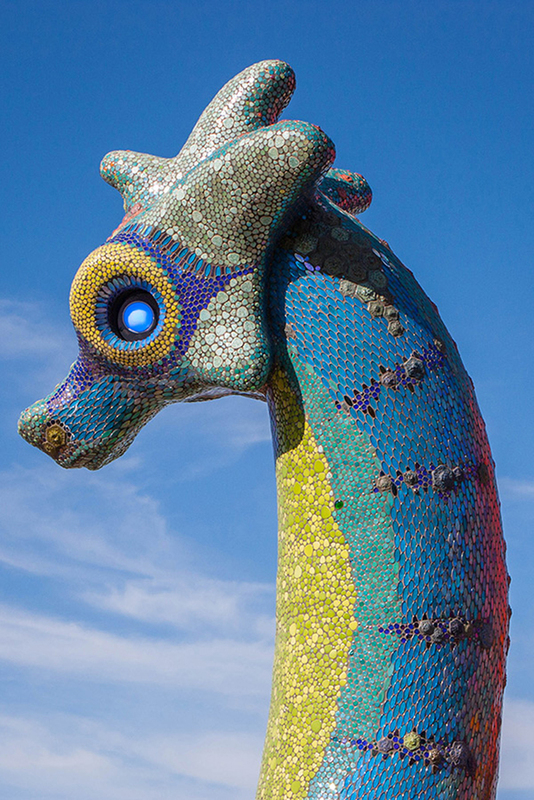 Mosaika installed various commercial glass tiles and Dixie’s hand-formed ceramics onto a 16-foot-high, 30-foot-long serpant-like sculpture. 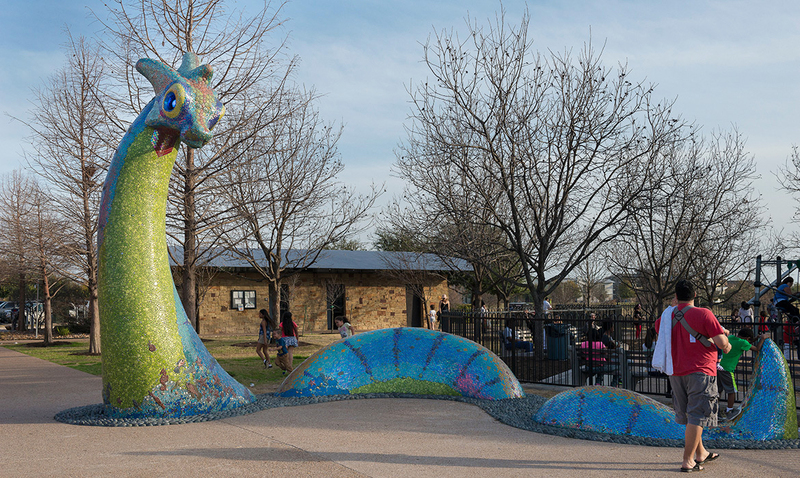 Nessy lives in a children’s park in Austin’s new Mueller Park district. MATERIALS : Hand-glazed and Hand-formed ceramics.